We are enthusiastic web designer & developer specialized in WordPress theme Development and Customization. Web Design & development is our passion and we love to create creative websites. 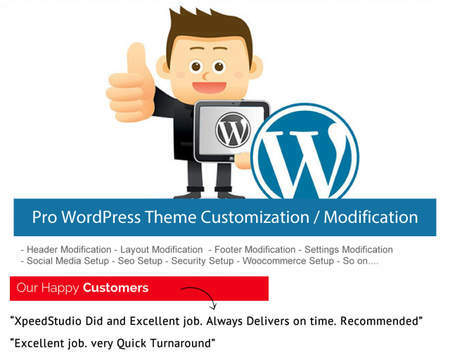 we have experience in custom wordpress development. We offer innovative and always fresh ideas making successful solutions. We have big experience in Creative Web design, Wordpress Theme Development, theme Customisation. We promise that you have unique cooperation experience. We Realise your ideas to give you the best result in the competitive new age digital world.